Channel the timeless cool of black leather with these gorgeous Beige leggings. 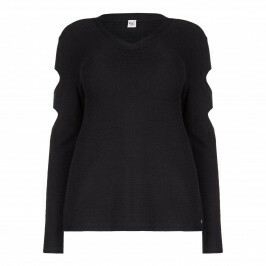 Featuring jersey panels and an elasticated waist they’re flattering, versatile and easy to wear. We’ll be teaming ours with all our favourite tunics and tops and clashing our textures with silk and lace. Finish the look with patent loafers. Black eco-leather leggings with jersey side panels. 76% Viscose, 20% Polyamide, 4% Elastane. Delicate Machine Wash or Dry Clean.